Since their decision to equip their athletes at World Cup 2010 with boots in visually striking colours, such colour theme seems to become a norm in Nike Football family of boots these days. Hence, the new Nike Football Hi-Vis (which actually stands for High-Visibility) Collection might be seen as yet another repetition of the theme but that is not actually the case according to the people at Swoosh. “In a game that’s more congested and faster than ever the small percentages are becoming more important. If a player can get that flash of colour in their periphery, and see a teammate make a run, that could be the small difference between timing the pass perfectly or not taking advantage - that’s the sort of moment that can change the course of a game at the top level.” - Phil McCartney, Vice President, Nike Football Footwear. Well, we don’t have winter over at this part of the world but nevertheless, I guess the highly visible nature of Nike Football Hi-Vis boots might be able to help football players out there gain better successful passing rate with their fellow teammates. Of course, this is in addition to techs that are readily existed in all four boots in the collection. Priced at RM 799 and RM 780 respectively, the Hi-Vis version of Nike Hypervenom and Mercurial IX are draped in Electro Purple and Volt combo with black detailing. Meanwhile, the Hi-Vis Nike Tiempo IV and CTR360 comes in Volt, Green Glow and Electric Green combo also with black detailing together with a price tag of RM 549 and RM 649 respectively. All four Nike Football Hi-Vis boots are expected to arrive in Malaysia by mid-October. 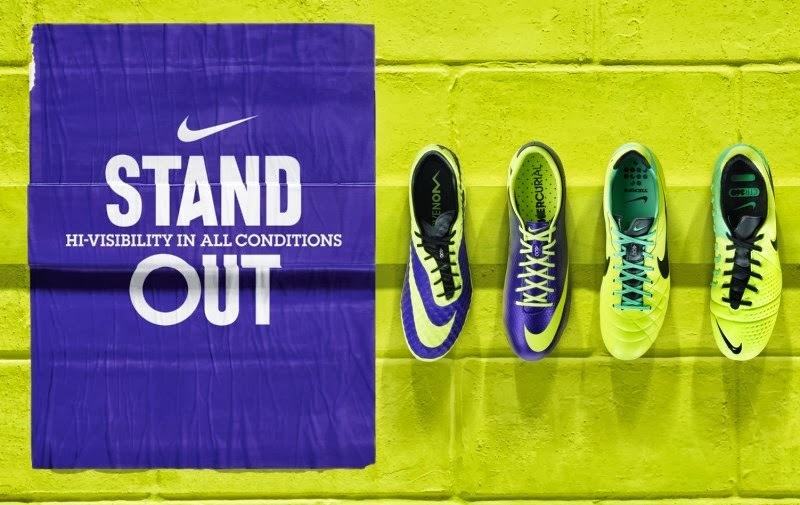 To learn more, do head on to www.nikefootball.com.my or www.facebook.com/NikeFootballMY. 0 to 200km/h in 7.2 seconds. Wheelie in any gear...SAY WHAT? 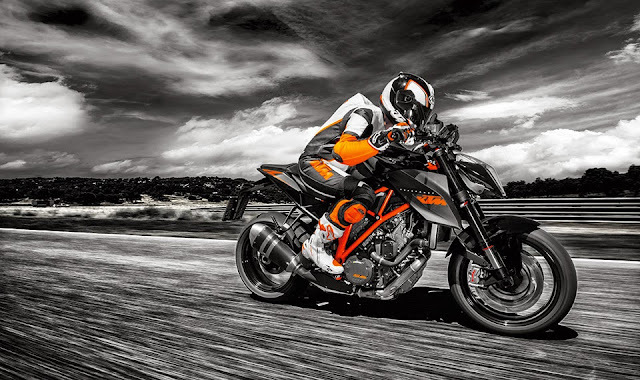 So, KTM 1290 Super Duke R a.k.a "The Beast" is finally official. Even though it is obvious that I'm not able to afford it (maybe for now), I'm still looking at it with much interest especially being an existing owner of the smaller KTM 200 Duke.